Yep, you read the title correctly, let’s talk about pipes – exhaust pipes. I recently had another rider tell me I should purchase a louder exhaust pipe. He felt like the roar of my pipes were too subtle, and other drivers wouldn’t be aware of my presence because of this. Naturally, I disagreed because to me, my exhaust pipe makes an adequate amount of noise in a way relatively pleasing to the ear way. Needless to say, this conversation made me look and more importantly listen to other bikes closer. I find that a lot of cruisers are the loudest, but I think they need to be. The riders tend to be less aggressive as they take their time while splitting lanes. Fortunately, their exhaust pipes are loud so drivers hear them coming up behind them in advance, and might even move over if they’re feeling particularly altruistic. I think for the safety of cruiser riders, they should have loud exhaust to avoid possible danger. 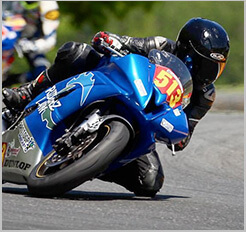 Whereas, I find a lot of sport bike riders are very aggressive on the road. This is especially true when splitting lanes. I’ve seen some riders split lanes on the freeway upwards of 50mph. Their pipes aren’t as loud as cruisers, but they’re moving a lot faster than the average cruiser. I find this type of riding leaves very little room for error from both the motorcyclist and the car drivers. 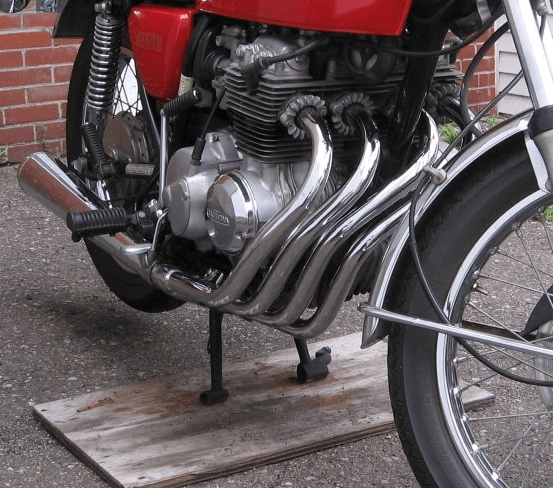 I’ve spoken with a few riders since my initial interest in exhaust pipe volume was piqued. The majority of the riders I spoke with were partial towards a louder exhaust pipe. They feel like it makes them more noticeable on the road, and generally like to be seen while riding. However, I think there’s a bit of pea-cocking involved with their desire to want to be the loudest on the road. However, there are a few riders that prefer to be a bit quieter. My mechanic actually prefers to have a quieter exhaust because he likes to get his speed up while on the freeway. He thinks if you’re stealthier on the road, it makes it harder for the police to track you. Noted, one should not be attempting to hide from the authorities, but you never know what life is going to throw at you. Who am I to judge? I also have a friend who thinks having a loud exhaust is just annoying. He switched out his exhaust pipe to a quieter one for the benefit of those in his suburban neighborhood. At the end of the day, the type of exhaust you have truly comes down to personal preference. I think my Yoshimura exhaust pipe is loud enough for me to be noticed by cars when I’m splitting lanes, but not so loud that I set off every car alarm in my neighborhood. To each is own on this topic.